There’s little point in investing tons of effort into creating content if no one’s ever going to consume it, right? Suffering from minimal search visibility is difficult, but if people aren’t going to find your content organically, then you have to push it harder through alternative channels. Let’s take social media, for instance. 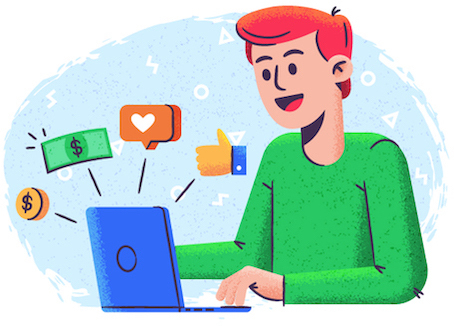 It should be part of your social media marketing strategy to share your content, but over-promoting a specific post runs the risk of annoying your audience. We’ve all seen it happen. One of our favorite brands or channels is pushing a new post hard — so hard that it’s dominating their (and our) feed. It gets stale fast. As a result, we (the brand’s audience) penalize the brand for over-promoting by not clicking through to view the content or simply unfollowing the brand. It’s much more effective to increase website traffic by making your site more prominent in search engines. But is that really possible without an SEO budget the size of Amazon’s? Increasing organic search traffic requires plenty of upfront work (especially if your budget is minimal), but the rewards are long-lasting. In fact, you’ll see results from your SEO activity 12 months down the line, long after the initial work is done. That’s where we bring in the skyscraper technique – it’s designed to build high-quality backlinks to your content, which will increase your organic referrals. Simply put: the skyscraper technique is a method of building upon the best content to create something even better. Dean likens it to, well, skyscrapers. Just as you’re unlikely to wonder which building is the 8th tallest in the world, (you only care about the tallest, right? ), you’re unlikely to be too concerned with the content that is ranking in 8th position. Using the skyscraper technique is a way for you to construct a taller “building” — or build upon an already-existing idea. 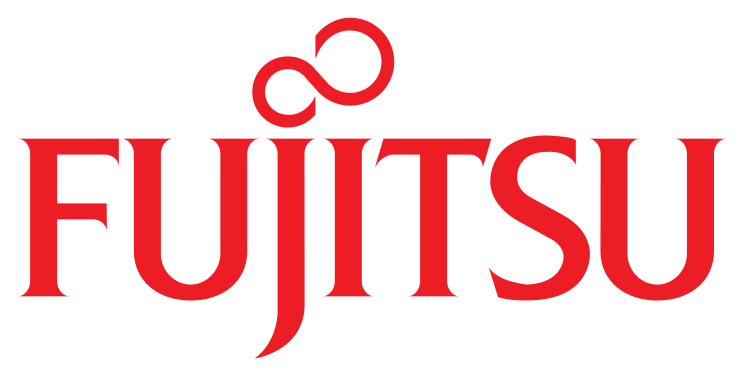 In many ways, the technique is very similar to creating 10x content. The skyscraper technique, however, is incredibly effective for link-building and for that sweet, sweet organic search traffic. Don’t believe me? Well, when Dean first executed the skyscraper technique, overall search traffic to Backlinko doubled within 14 days. That’s quite a difference – but that’s not the only impressive result. That single piece of skyscraper content has driven more than 300,000 referral visitors to Dean’s site so far. What impact would 300K visitors — attracted to your website by one post — have on your business? I’m guessing a powerful one. Let’s talk about why the skyscraper technique is so effective. The Skyscraper Technique and Backlinks: What’s the Deal? Backlinks are links that lead to your website from other sources. Naturally, the more useful, informative, and entertaining your content, the more likely you are to encourage backlinking. But why are they so important? 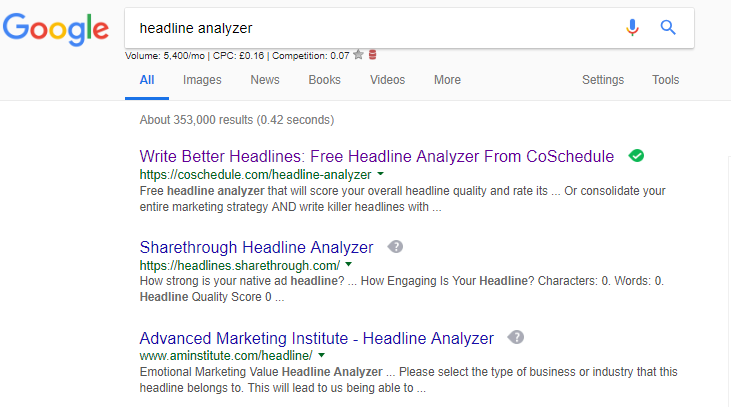 The first result shown is CoSchedule’s headline analyzer tool – but why? There are tons of headline analyzer tools on the market. Why would Google pick this one for position number one? Let’s dig a little deeper. 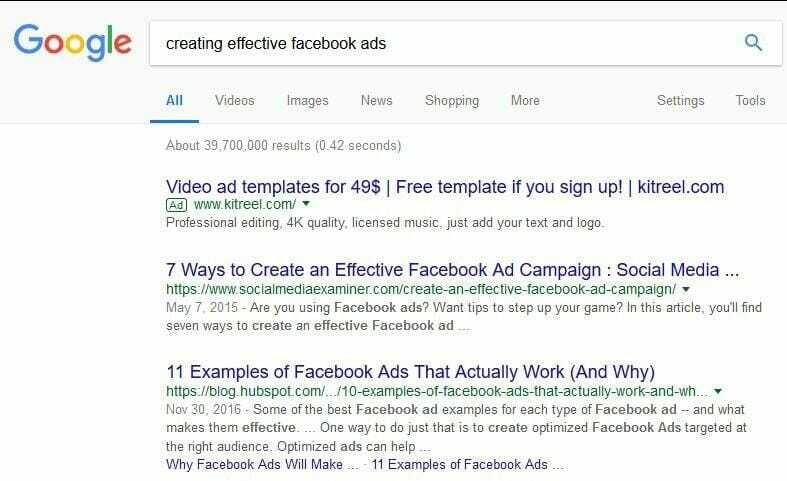 That’s part of the reason why this page is ranking so well and dominating the search engine results pages (SERPs) for this term. Using the skyscraper technique allows you to build these backlinks from awesome content. As a result, you’ll increase your site’s rankings and boost organic traffic and search visibility. You’re still creating content – but also putting that content to work for you. Now that you understand the benefits of the skyscraper technique, it’s time to put it into action. The following steps will help build high-quality backlinks that have a direct impact on your website and business. It goes without saying that any content you create needs to have some sort of demand in order to be worth the effort. If there’s no audience for your content, it doesn’t matter how good it is — no one’s going to read it. So, keep your finger to the pulse of what’s popular in your niche. 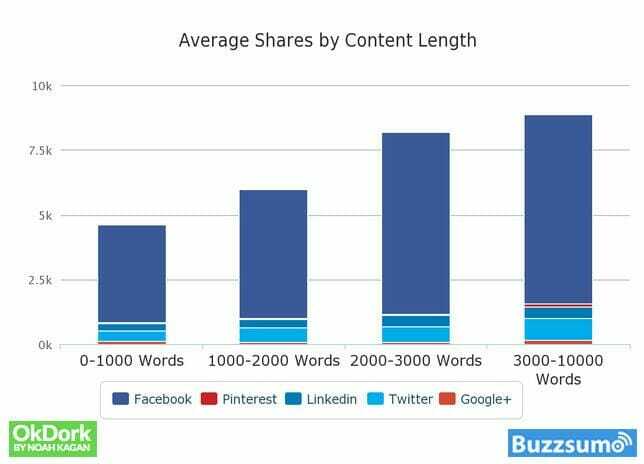 Tools like BuzzSumo make it easy to find content that’s buzzing. It identifies content with the highest social shares, which is exactly the kind of content you want to build your skyscraper piece from. Another effective tactic for finding popular content is taking a gander at what influencers are sharing on Twitter. Each niche has plenty of prominent personalities, and a simple dig through their feeds could spark the inspiration for your skyscraper content (a peek at their feeds can give you an idea of their audience’s shared interests, too). 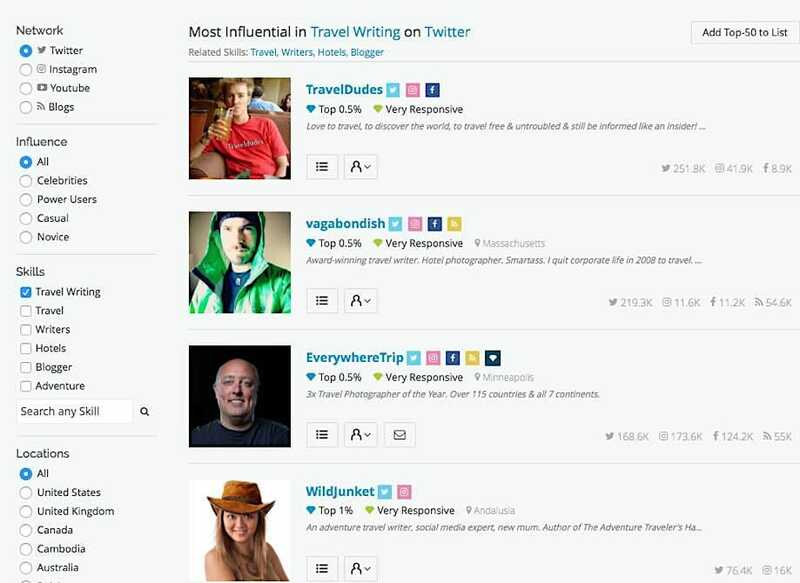 Much like influencers, online communities are a great way to discover popular topics. Forums like Quora or Reddit – which make use of community voting to increase the visibility of content the community enjoys – have a wealth of topic ideas spilling from them. Make note of the topics with a high number of “upvotes” to gauge what content is popular within a given community, and use this as your basis. Once you’ve identified a topic you’d like to build upon, search for the topic in Google. Which result ranks first? Take a look at the top two links (excluding the ad). These are the results that Google deems most relevant – and the pieces of content you have to beat. If those results are comparable to the tallest skyscraper in the world – meaning they’re the best, highest-quality and well-researched pieces available to your ideal audience – you know precisely how much taller you have to build your own piece. 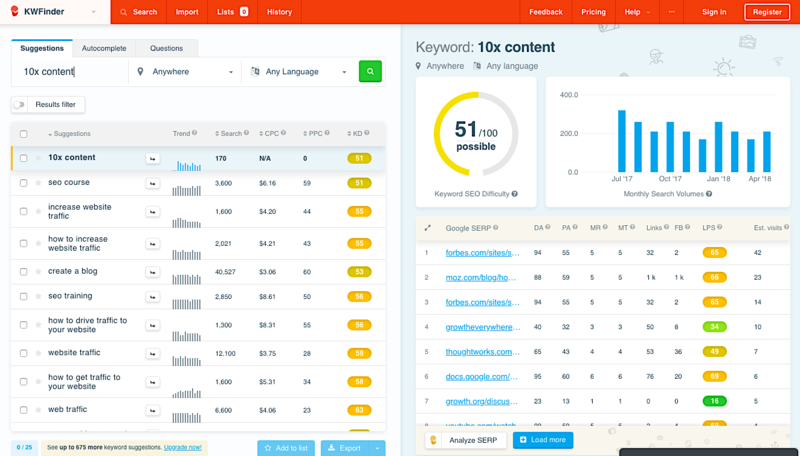 You can also use a tool like Ahrefs to research your competitors. 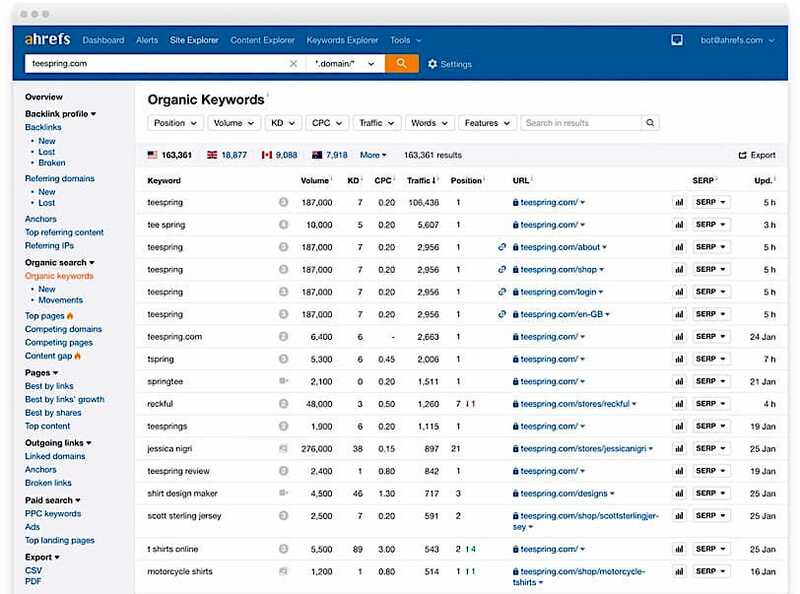 Ahrefs allows you to check out the exact keywords that others are ranking for in organic search results as well as how much traffic they’re getting. Once you understand your competition — the content you’re up against — take a step back and ask yourself: “Can I create anything better?” If you think you can, it’s time to roll up those sleeves and get to work! Long-form content serves many important purposes. First, writing an article that’s longer than what other people are writing is a clear way for you to stand out. Visitors will have the perception that you’ve put more work (i.e. research) into producing that content and you’ll be seen as the industry authority that you are – making you a thought leader. Long-form content demonstrates that you’ve invested significant effort in its production. Because your post is so lengthy, it’s likely to be the most comprehensive source for the topic you’re writing about. You’re establishing authority in your field and helping readers to find all the information they’ve sought in one convenient location: your website. And getting the most content shares will help your skyscraper piece be seen by more people. That’s the goal, right? 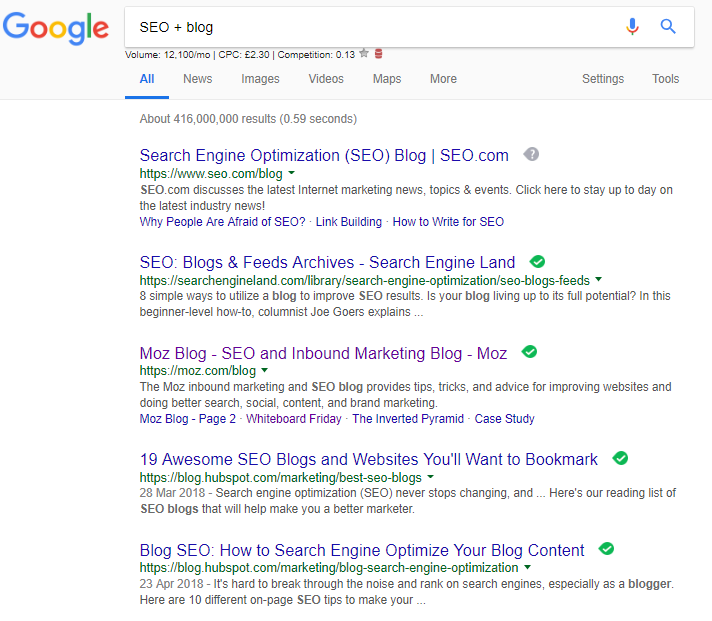 Writing content that ranks high for one keyword is fantastic way to help your website boost organic rankings for that term. But what if the same piece ranked for a handful of keywords? Use keyword research tools such as Ubersuggest or KWFinder to identify a small group of keywords to target. Since Google use latent semantic indexing in their algorithm (meaning it can understand when similar phrases mean the same thing), targeting a multitude of relevant keywords may even rank your content higher than a competitor’s. But since everyone’s using this in their content strategy, your skyscraper piece will need to do it better. This is where competition research really comes in handy. 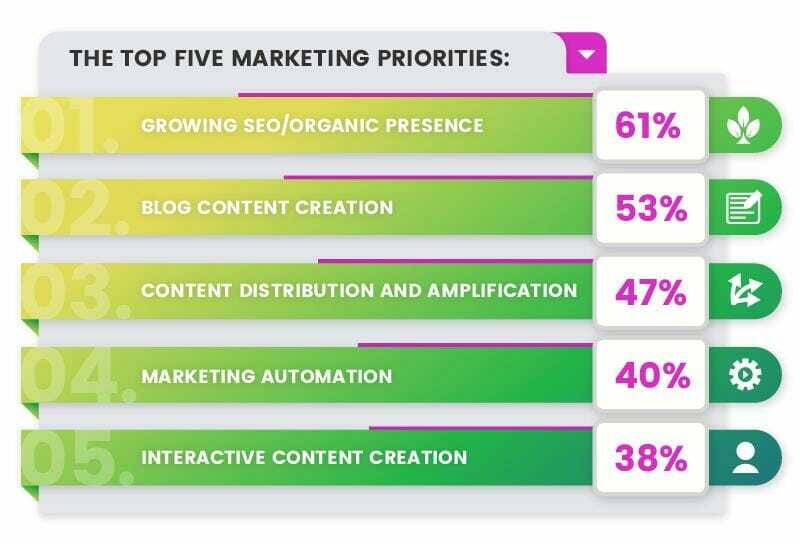 When your competitors sprinkle data, case studies and statistics throughout their content, you need to provide even more of all that in the content you create. If their case studies are flimsy, offer your readers something much better – making it the best piece of content on the topic. When people invest their time in consuming content, they want the best. So use facts, research, current data, studies, and statistics to reinforce and support the information you’re providing. Provide references to useful resources that are relevant to the topic you’re covering and you’re bound to create the most authoritative source. A headline is your first chance to make a good impression on a reader. If you fail to capture their attention, they’re as good as gone. All the hard work you’ve put into your content is for nothing if someone chooses to stop reading at your headline. In fact, 80% of people will read only the headline, leaving a mere 20% who will actually consume the rest of your content. That’s a lot of people who are slipping through the net, so you’ll need to do your absolute best to appeal to that 80%. Think about how many posts you’ve skipped over because the title didn’t attract your attention – perhaps it was too vague, too long, too short, or simply poorly written. For fun, check out 10 of the Worst Press Headlines Ever (like “A Unique New Business”). Going in-depth into a subject creates a more comprehensive piece of content and thus provides more value for your readers. Your goal should be to create the ultimate source for the topic at hand. Put yourself in the shoes of your audience for a moment. If you’re searching for something — say, how to build a website — do you want to refer to multiple resources for bits and pieces of guidance? Or would you rather have one solid resource that takes you through the process from start to finish without ever giving you a reason to leave the page? If you’re anything like me, it’s the first. People are busy. Nobody has time to sift through the Internet and find pieces of information here and there, furtively bookmarking, downloading or copy/pasting to make sure you’ve got everything. If you offer all the information on a plate, we’re much more likely to be impressed. This means taking the time to fully research, address all possible pain points, include images or graphics to back up your text, add current statistics, supplement with case studies to illustrate results, and break it down into an easy-to-read format – not to mention write the article well (in terms of both grammar and content) and have a professional editor take a last pass at it! This all takes time, money, and patience. Remember the influencers I mentioned earlier? Well, now is when you ask them to share your content — which creates a backlink! I came across your blog after looking for information on [topic]. I love what you’re sharing! However, I spotted that you linked to this article: [your competition]. I actually created a similar piece to this, but it includes additional data and is more up-to-date. Feel free to use this on your page if it’s something your audience would be interested in. Because you share a niche with those you’re emailing, your content likely appeals just as much to their audience. Your content helps the user experience of visitors to the blogs you’re contacting, so it’s a win-win, all round. Your job’s not done once your content starts earning backlinks. (Remember: that’s the entire aim of the skyscraper technique.) You need to be aware of where backlinks are coming from so you can truly capitalize on your execution of the skyscraper technique. Use a tool like Monitor Backlinks to find your backlink profile – a document which details every backlink pointing to your overall website. It’s wise to set up instant alerts (you can do that via Google Alerts, too) for when someone links to your content but hasn’t let you know. Trust me, it happens. 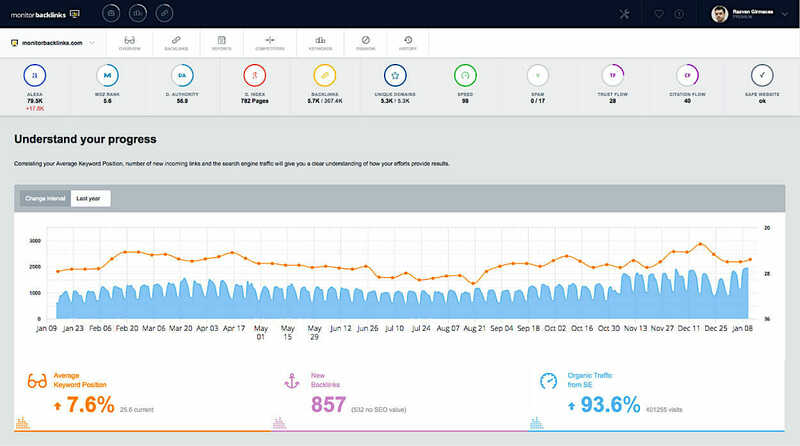 You can also monitor the SEO metrics of each backlink you’re building – including the Domain Authority, Spam Score and Page Authority of each link. This allows you to analyze what’s working and what isn’t, so you can continue to build awesome backlinks that’ll supercharge your content in the SERPs. There’s no doubt that the skyscraper technique is an effective way to build high-quality backlinks to your content. 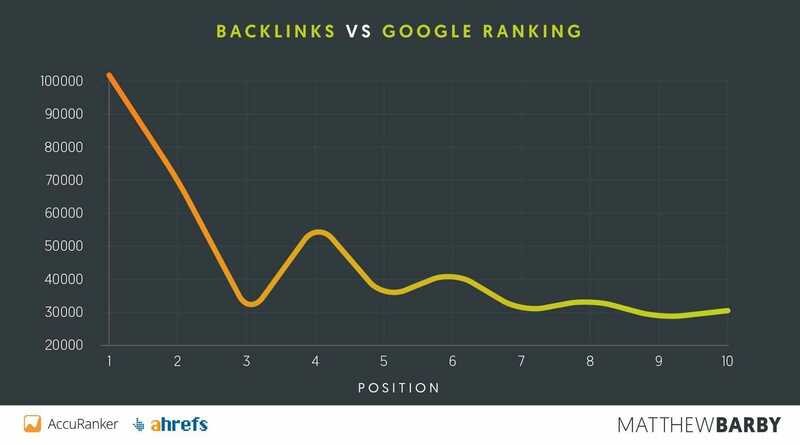 Remember, backlinks are important to your SEO efforts because that’s how Google knows that your website is reputable, relevant, and contains high-quality content. Check out what’s popular, research your competitors’ keywords and content, and decide if you can improve upon anything that’s already out there by making it longer, meatier, more compelling and up to date. Reach out to influencers in your field to help you share your 10x content and don’t forget to keep track of your backlinks. Now that you’re familiar with the technique and understand the power of backlinks in growing search visibility, get out there and start building!